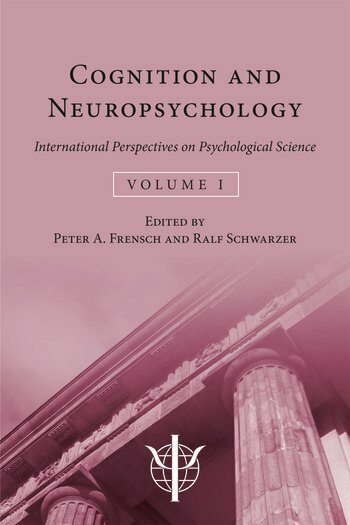 This is the first of two volumes which together present the main contributions from the 29th International Congress of Psychology, held in Berlin in 2008, written by international leaders in psychology from around the world. The authors present a variety of approaches and perspectives that reflect cutting-edge advances in psychological science. Cognition and Neuropsychology is dedicated to summarizing and characterizing the current scientific research in three substantive content areas, (i) Perception, Attention, and Action, (ii) Social Cognition, and (iii) Learning, Memory and Development. While some of the contributions focus on relatively narrow areas of research, others adopt a much broader stance, trying to understand and explain many different facets of behaviour across widely differing situations. Some contributions even try to bridge the fundamental gap between behaviour and genetics. The final part contains two chapters that discuss fundamental general issues in psychology, such as the fate of mentalism and the significance of phenomenal analyses. All chapters offer fascinating insights into current theorizing on the mind, and are written by some of the best-known scholars of our time. This book will be an invaluable resource for researchers, professionals, teachers and students in the field of psychology. Part 1. Perception, Attention, and Action. M. Posner, M. Rothbart, Origins of Executive Attention. A.N. Meltzoff, Bridging between Action Representation and Theory of Mind. A. Vandierendonck, The Role of Executive Control in Task Switching. K. Friston FRS, Perception: A Free-Energy Formulation. W.M. Pauli, H.E. Atallah, R.C. O’Reilly, Integrating What & How/Where with Instrumental and Pavlovian Learning: A Biologically-Based Computational Model. R. Mausfeld, Intrinsic Multiperspectivity: On the Architectural Foundations of a Distinctive Mental Capacity. Part 2. Social Cognition. K.C. Klauer, Formal Models of Implicit Measures of Attitudes. F. Ostrosky, New Perspectives on Moral Emotions: A Neurobiological Perspective. A.A.J. Marley, The Best-Worst Method for the Study of Preferences: Theory and Application. Part 3. Learning, Memory, and Development. B.M. D’Onofrio, A.L. Singh, Behavior Genetics: Quasi-Experimental Studies of Environmental Processes. E.L. Grigorenko, Typical and Atypical Development: A Commentary on the Role of Genes. I. Lundberg, Early Language Development as Related to the Acquisition of Reading. J.B. Overmier, The Laws of Learning are Always in Effect. L.M. Reder, L.W. Victoria, How Midazolam Can Help Us Understand Human Memory: Three Illustrations. Part 4. Fundamental General Issues. J. Perner, Who took the cog out of Cognitive Science? Mentalism in an Era of Anti-Cognitivism. K. Tsuji, Significance of Phenomenal Analyses in the Reductive Situation: Reciprocal Role of the Studies of Potentiality and Reality. Peter A. Frensch is Dean of the Faculty of Mathematics and Natural Sciences II, at Humboldt-University, Berlin. He is also president-elect of the German Society of Psychology, and a member of the Executive Committee of the International Union of Psychological Science. His research is concerned with the cognitive mechanisms underlying different facets of learning. Ralf Schwarzer is Professor of Psychology at the Freie University of Berlin, Germany. He has been President of the Stress and Anxiety Research Society (STAR), the European Health Psychology Society (EHPS), and Division 8 of the International Association for Applied Psychology (IAAP). His research is on stress, coping, social support, self-efficacy, and health behaviors.